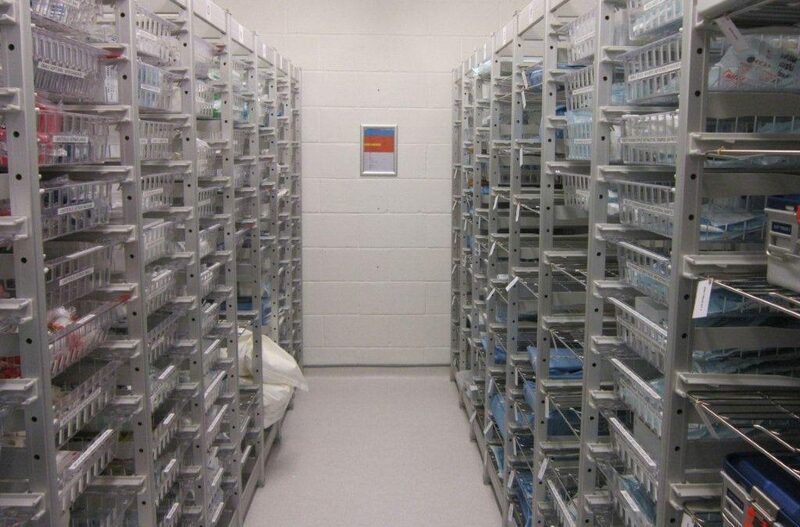 H4 Medical can provide a range of trollies along with top quality racking and storage systems. There are many benefits to racking and storage systems, they improve manual handling, are adjustable after installation and are suitable for all sizes of procedure trays without stacking. We offer a free measuring service to tailor your needs and a full fitting service including an extra visit post-installation to ensure all requirements are met. We have a range of open and closed trollies to offer and covers are available in all sizes and materials. 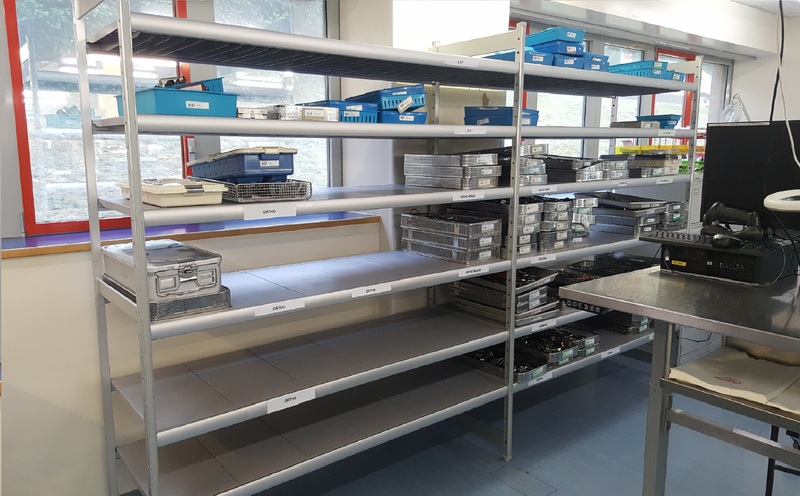 The uflex modular racking is a system developed to reduce manual handling of trays and also reduce the number of trays with damaged tray wrap. 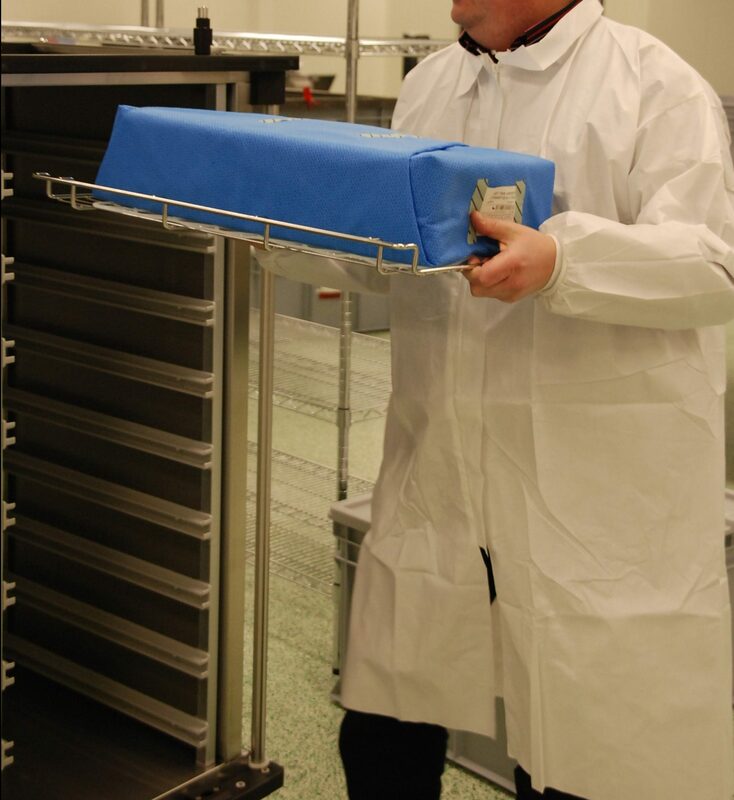 The trays are wrapped and then placed into the wire shelves/trays therefore they wrapped tray should only be handled at twice on it’s journey to the operating theatre if used along with compatible trolleys. The Uflex system also prevents user from stacking trays on top of each other as it provides a single location for each tray. The racking is fully adjustable and shelf heights can be altered to any changing tray requirements. Image depicts one of our Transport Trolleys which are designed to work with the above racking system. Please see the Transport Trolleys Page. The new Ubeflex system can incorporate both this new shelving type system with the above modular system. So the system can fulfil individual or multiple needs. The image here depicts a shelving unit in a cleanroom used to store instruments post-washer disinfector cycle. The Ubeflex modular storage system was developed with functionality, durability and great stability. 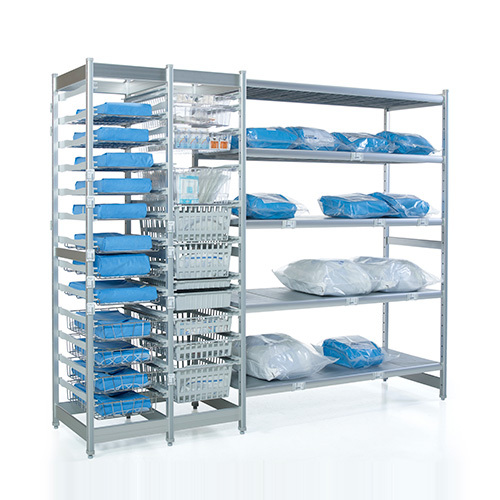 The result is a unique storage system that can be used in both sterile and non-sterile environments. Thanks to the modular construction, it can be used in various departments of the healthcare institution. It is both a hygienic and ergonomic storage solution. 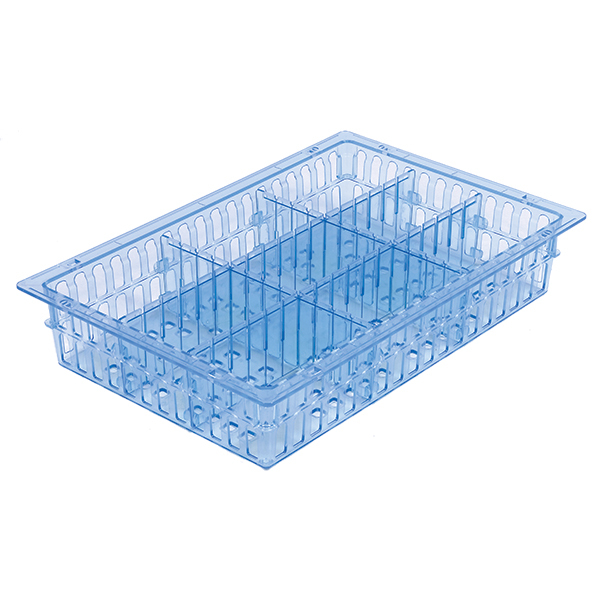 Clear Plastic Baskets with Slotted Side suitable for Consumable Strorage.